On the 19th of January every year, the genocide of the Kashmiri Pundits is remembered and respects are paid to all those who lost their lives in the massacre. Why did this tragic event happen? The peace-loving Kashmiri Pundits who once dominated the Kashmir valley were forced to convert to Islam by invaders over several years. While some gave in to conversion, many committed suicide. Several others who opposed were slaughtered. 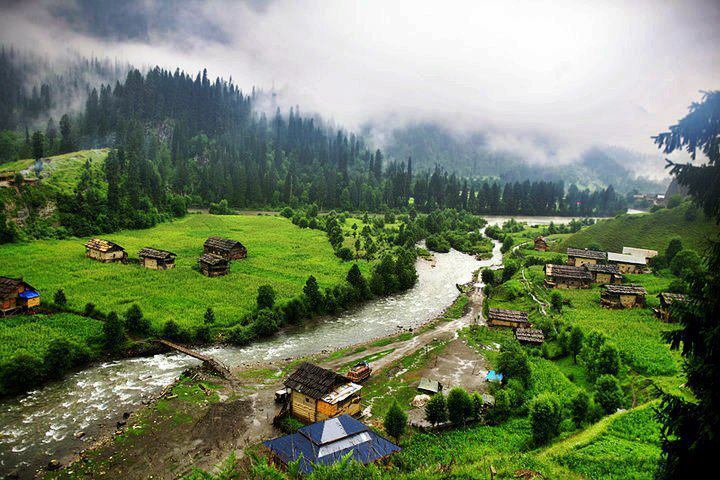 These traumatic events drove the Pundits to flee their homeland of Kashmir. To better understand the atrocities committed against the Kashmiri Pundits, let’s take a brief look at the history of the people and the land they call home. The history of the Pundits of Kashmir begins with the migration of the Aryan Saraswat Brahmins, who used to live on the banks of the Saraswati River, to the Kashmir valley. With the passage of time, they assumed the name “Bhattas,” and are now popularly known as the Kashmiri Pundits. These Pundits, who formed a significant part of Kashmir, were closely associated with its culture, customs and traditions. The first direct assault to Kashmiri Pundits took place in the 12th century when Muslim generals conspired against the king and failed in their attempts to overthrow him. The king took action against them, and they faced much torture. During the 13th century, the rulers encouraged the influx of Muslims into the valley to counter the supremacy of the Brahmins. Most of the rulers who came later tried to do away with them. Some of them adopted methods similar to the infamous genocide of the Jews in Germany during Hitler’s rule. These rulers tried to exterminate and eradicate all Hindus from Kashmir. During the reign of Abhimanu in the 14th century, the Pundits again came in contact with Muslim invaders, who had taken advantage of the weak administration of the Lohara dynasty and established their rule. Ali Shah, who ruled Kashmir after, adopted tyranny as his tool of administration. His rule was carried out with killings, conversion and forced taxation on the Pundits. He forbade ceremonies and forced conversions on the Pundits. Fearing conversion, many killed themselves. As a result, many Pundits fled from Kashmir and took refuge in other places. This oppression of Pundits led to one of the most terrible incidences of mass exodus. Throughout this period, many Pundits were banned from attending religious prayers and meetings in temples. However, when Sultan Zain-ul-Abidin took rule of Kashmir, he chose the tolerant path. He ensured that the Pundits’ glory was resurrected, and they were given back all that they had lost. This was a phase for the Pundits when they lived in their homeland without any threat. In the following years, however, the Kashmiri Pundits suffered terribly under the rule of Shams-ud-Din-Iraqi, Musa Raina, Dogras and Afghans. Afghan rule of this period victimized the Pundits in the worst form. The Pundits were stripped of their religious identity, and their religious scriptures were burnt. Those who opposed were slaughtered mercilessly. History provides instances of parents shaving their daughter’s head and cutting her nose to destroy her beauty and save her from disgrace. Periods of tolerance towards people of different religions were seen in Kashmir during the rule of the Mughal emperor, Akbar and during the Sikh rule. These episodes of religious tolerance and intolerance, therefore, became a vicious cycle in Kashmir. Eventually, a majority of the population had already converted to Islam. Most had left the state. 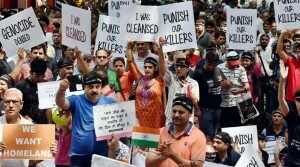 In order to establish the dominance of one community in Kashmir, the continuous acts of oppression committed against Pundits turned brutal and came to be known as the genocide of Kashmiri Pundits. The Pundits, with a history of violence lasting 5000 years, were made victims once again in one of the ugliest chapters of Indian history on January 19th, 1990. Following threats against all Hindus to leave Kashmir, there was widespread chaos in the area, and the Pundits were targeted and killed. People were shot in the open and anti-India slogans were raised. Temples and houses were burnt down, women and children were abducted, and there were explosions in multiple parts. Thousands were reported dead. About 350,000 of those who survived the massacre fled to other parts of the country. The extermination of Pundits 25 years ago is perhaps one of the most tragic incidents of the recent past and one that needs to be talked about more often. At present, there are hardly any Pundits living in Srinagar or any part of the valley. Some of them live in refugee camps in Jammu, while a few live in Delhi and Mumbai. Currently, efforts are being made to provide justice, peace and restoration to the lives of the Kashmiri Pundits. Religion is an ancient concept that is, at its core, a path to attain salvation. It is known to give people a sense of identity and belonging. Religions emphasize love and giving as a way to attain happiness. One of the biggest tragedies of the world is misinterpreting these pathways of worship to vent out hatred. History has proven that this has led to nothing but death and disaster. In the end, it is not ethnic cleansing that is required, but a cleansing of our minds to extinguish misunderstandings and hatred. Great article. Very well researched.